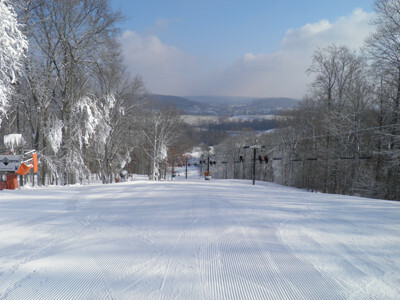 View the trails and lifts at Paoli Peaks with our interactive trail map of the ski resort. Plan out your day before heading to Paoli Peaks or navigate the mountain while you're at the resort with the latest Paoli Peaks trail maps. 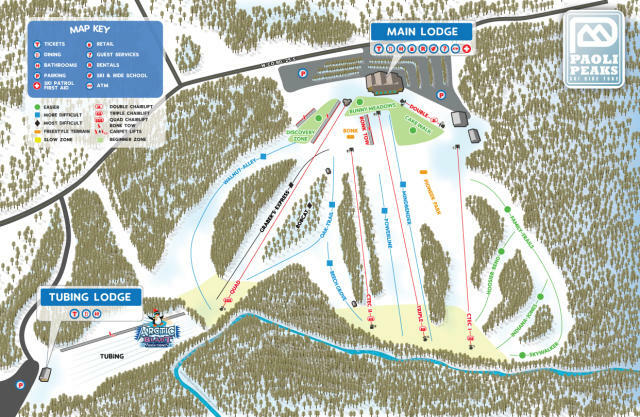 Select resorts also feature an additional trail map from partner, FatMap that provides a 3D view of the ski resort, including slope steepness and aspect, along with information on what it's like to ski each of the trails at Paoli Peaks. They've done a great job with what they've had to work with the last couple of days. Made snow last 2 nights & yesterday. Most everything is back open with a few thin patches which are easy to avoid. Packed powder with couple of inches loose on top. A few icey spots but not bad. Good carving snow. The bad ... warm weather is back with some rain. Better enjoy this while u can. Well worth the trip. Not bad at all. How are conditions? Worth the trip tomorrow? They got about 3-4" of natural yesterday plus they've been making snow 24/7 for two days now. Plenty of snow ... they just need to get it groomed up now. Mostly hard packed with icy spots ... typical Paoli but the weekend should be great with the cold temps forecast. Watch the snow guns though & protect your goggles or you won't be able to see. Skied today, Tuesday the 20th, with 6" new mm on top. Hard packed couderoy surface & icey in spots. Several runs still closed & they've got a lot of grooming left to do & snowmaking, good base on what's covered though. It's worth the trip. Get Snow Reports, Powder Alerts & Powder Forecasts from Paoli Peaks straight to your inbox!